Cutting the cake into six (6) servings would make it 49.5 grams of Carb, 18.75 grams of fat and 4 grams of protein. If you used raw sugar and whole wheat flour, both with their fiber intake, you could add 3 grams more of protein to this dessert. If you view dessert like that, it isn’t so bad. It is true there are sugars in the recipe. But you can always change out processed foods for more natural foods that are minimally processed, therefore making a recipe closer to more natural and still enjoy dessert. Peaches provide about 18 mg phytosterols, which are plant-based nutrients, and they lower your cholesterol levels. 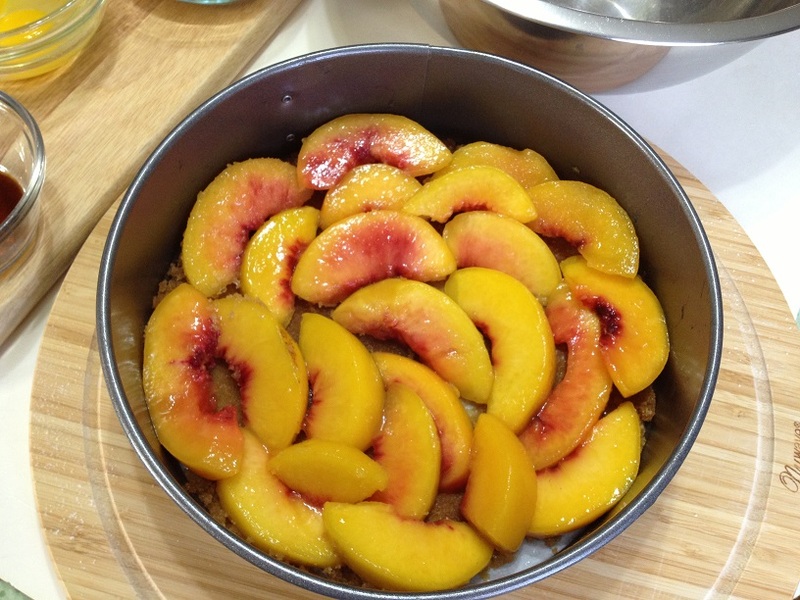 Knowing this about peaches also can make the dessert more appealing. Don’t you agree? But wait there’s more. A large peach has niacin, or vitamin B-3, that helps with energy metabolism in your body. Peaches are high in vitamin-C, which we all know is an antioxidant and an essential nutrient for a healthy immune system and strong joints. 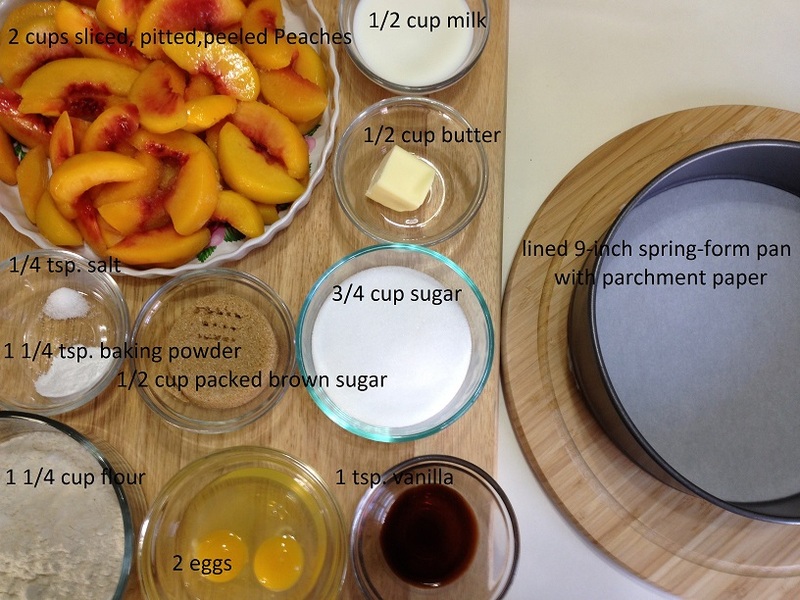 Peaches also have vitamin-A, an essential nutrient for healthy vision. 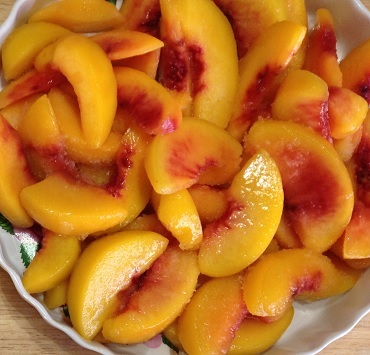 Peaches can also help regulate your blood pressure. The fruit provides about 332 mg potassium each, and they are sodium-free. A high-sodium, low-potassium diet may cause high blood pressure and an increased risk for stroke and kidney disease, and most of us need to increase potassium and decrease sodium. Most all of the fruits, vegetables, whole grains and beans are high-potassium, low-sodium foods. Grab the room temperature butter and melt in a small sauce pan over medium heat and then add the brown sugar and stir until sugar is completely moistened and mix well with the butter. Next spread sugar mixture evenly in the bottom of the prepared spring-form pan. Loosen cake first by running a knife around sides and loosen ring and lift off. 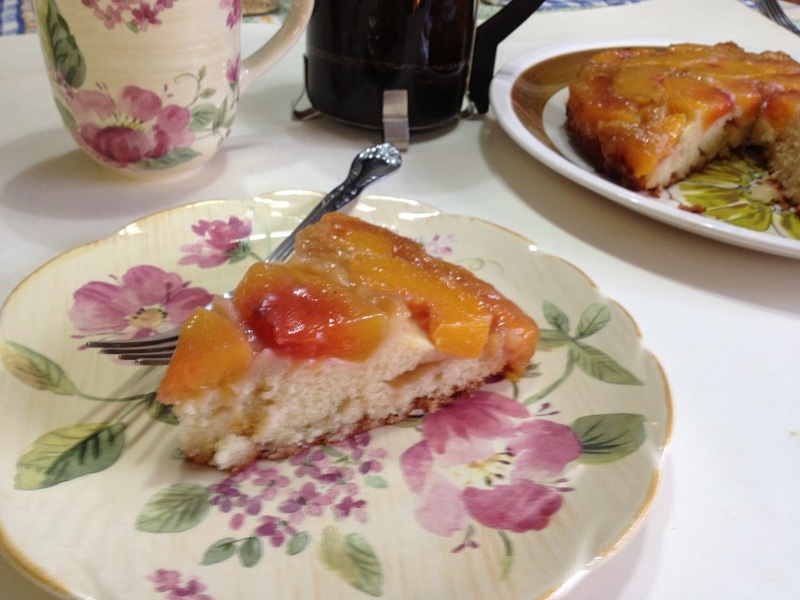 Grabbing edge of parchment paper, carefully pull cake to a serving platter. Cool for another 10 to 15 minutes. 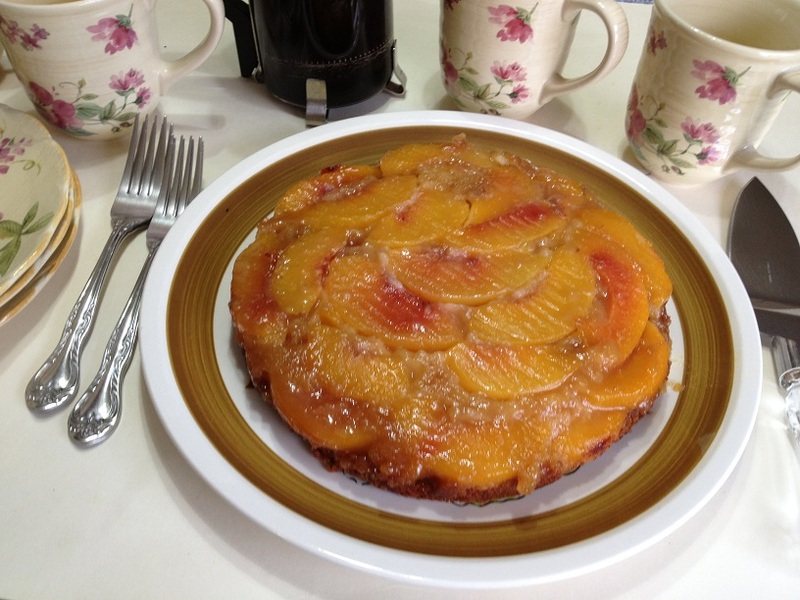 This entry was posted in Dessert and tagged Brown sugar, Cake, Cookware and bakeware, dessert, Flour, Peach, Peach Upside Down Cake, Peaches, Sugar, Upside-down cake. Bookmark the permalink. Looks delicious…. will go to my archives, definitely.